We want to recognize and thank our IVAA staff members for everything they do to make IVAA great! 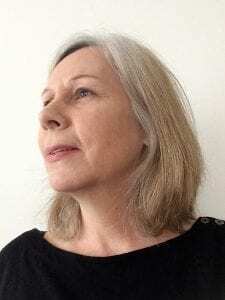 Darlene Victoria has been a web designer since 2001 with a love for all things internet and technology. She launched her Virtual Assistant business in 2008. As a digital media marketing support service provider, she assists clients with the management of their online content; including podcast production, webinar planning, guest management, audio editing, and social media promotion. When she is not working, she enjoys running, spending time with family or curling up with a book. Kathy has been planning events for groups and associations since 1998 and she is now bringing her expertise to IVAA as our Events Planner. 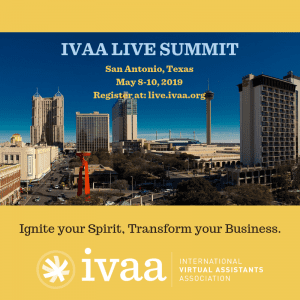 She will be leading the planning for our Online and Live Summits and ensuring we offer our IVAA members and event participants the best experience possible. Finding great locations, putting together interesting programs, and planning fun activities before, during, and after a conference is her goal. From first-time attendees to veterans, she promises everyone will have a great time! Terri brings 25 years of strategic planning, technical, sales, project management and marketing experience to her role as a Social Media Marketing Strategist. 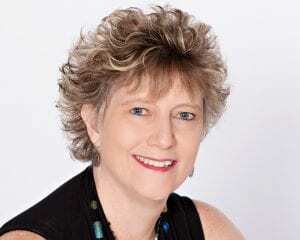 She made the transition from corporate cubicle to home office in 1998 as a Marketing Manager, Product & Project Manager for a global technology services company, successfully transitioning those skills & passions into a virtual assistant business in 2009. As a marketing strategist and marketing project manager, Terri works closely with clients to provide strategic solutions to their online marketing challenges in support of each client’s unique business goals & values. She is an avid fan of bluesman, Eric Clapton, and enjoys combining two passions, travel & music. 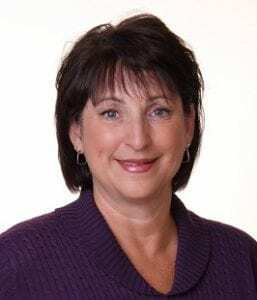 Terri earned a BA degree in Communication from the University of Tampa and a Master’s Certificate in Project Management from The George Washington University’s School of Business, and enjoys the challenge of keeping up with the evolving landscape of digital media tools & technologies to help small businesses launch, thrive, and grow. Teresa Morinaga has been involved with IVAA providing virtual bookkeeping services since 2013. She obtained degrees in both liberal arts and accounting through the University of Hawaii’s Kapiolani Community College and completed upper-level accounting coursework at University of Hawaii – West Oahu. While fully involved in school, work, and a young family, she served as a Pacific Region and Alpha Kappa Psi Chapter Officer in Phi Theta Kapa - Honor Society of the Two-Year College. Today, she continues to regularly support students in the accounting program at her alma mater. 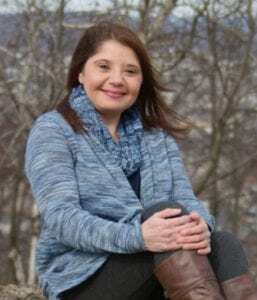 Teresa noticed that the specific needs of sole proprietors and small business were underserved, particularly accounting and office services; and in 2003, she founded Perfect Bookkeeping and Office Services LLC. Clients consistently refer business associates to her, citing the reliability of her work. Moreover, her early adoption of technology allows Terrie to service clients in a virtual setting. 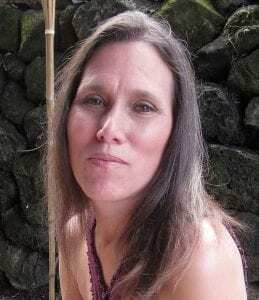 Her personal interests revolve around family, and the Hawaiian culture. She is a lifelong and voracious learner, a culinary adventurer, a farmer of endangered indigenous plants, a blossoming speaker of the Hawaiian language, and a nurturing Hula mother to two younger generations preserving this ancient art. Christine works with business owners who are ready to play big and know that they can’t do it without the support of a team. She uses her skills from years as a bookkeeper, a leader of several organizations and as an employee to provide marketing and sales implementation support. Driven by the proliferation of women returning to the J O B market when their business doesn’t grow, she takes pride in providing the best digital marketing and sales support possible. Christine assists her client’s with email marketing, CRM(customer relationship management), blog posts, website updates, podcasts and more. In addition to her primary implementation services, Christine has been recognized by clients for her extraordinary commitment to helping them to be the best that they can be and to stay on track. She implements, manages and advises when needed. Christine works in Infusionsoft, Get Response, Mailchimp, Constant Contact, Aweber and has been in business since 2010 and an IVAA member since 2013. She enjoys volunteering for summits, coffee chats and wherever needed. Christine owns Implementing your Vision.